You'll never wear regular socks again! VersaFit socks offer the ultimate in fit, form and function. Constructed of Acorn Comfort Fleece in original and proprietary prints, they offer all the warmth without the weight. The hydrophobic, breathable fleece fibers quickly wick moisture away from your skin to prevent odor while the patented flat-lock seams and mid-cut height provide a comfortable, secure fit. 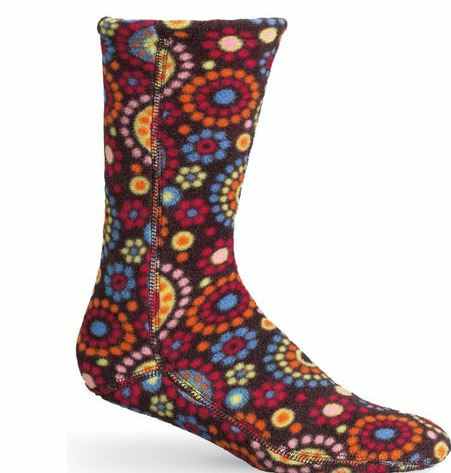 Wear them while lounging at home, under dress boots, while hiking, or just whenever your feet need a warm and cozy hug!